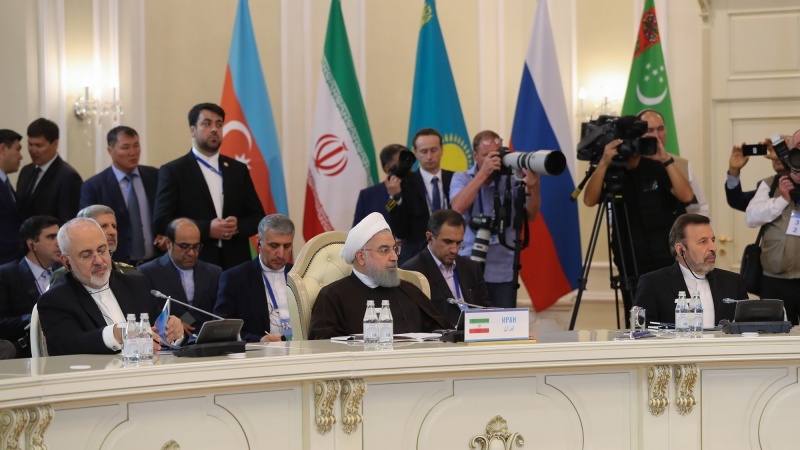 The convention was signed by Presidents of the Islamic Republic of Iran, Russia, Kazakhstan, Republic of Azerbaijan and Turkmenistan on Sunday in Aktau, Kazakhstan, during the fifth Caspian Sea littoral states summit. According to an Iran Press report, quoting the official website of the Iranian president, at the signing ceremony of the convention that was held after the summit, President Hassan Rouhani of the Islamic Republic of Iran, President Vladimir Putin of the Russian Federation, President Nursultan Nazarbayev of the Republic of Kazakhstan, President Ilham Aliyev of the Republic of Azerbaijan, and President Gurbanguly Berdimuhamedov of the Republic of Turkmenistan were present. High-ranking officials of the five Caspian Sea littoral states also signed 6 cooperation documents in the presence of the heads of state of the five countries. Protocol of cooperation in the fight against terrorism in the Caspian Sea, protocol on cooperation in the fight against organised crime in the Caspian Sea, agreement between the governments of the Caspian Sea littoral states on economic cooperation, agreement between the governments of Caspian Sea littoral states in the field of transportation, agreement in preventing accidents in the Caspian Sea, and protocol on cooperation and interaction of the border authorities of the Caspian Sea countries were the documents that were signed by the five countries in order to further strengthen their cooperation in the Caspian Sea region. Earlier, speaking at Mehrabad airport on Sunday morning before leaving for Kazakhstan Summit, Iranian President Hassan Rouhani said that Caspian Sea is of special importance and unique water area, and it is important for all its' littoral states to sort out how to take advantage of it. “This convention completely bans the presence of foreign warships in this sea and this is very important for national security of its littoral states”, Iranian President added. “Caspian Sea littoral states have very good potentials and opportunities, especially regarding economy, transportation, goods transport and tourism, which will be discussed in the summit,” Rouhani added. 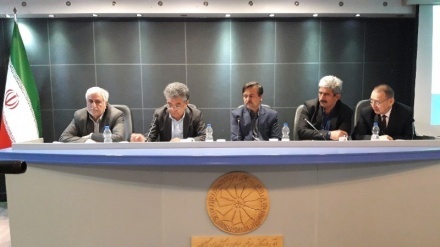 Meanwhile, some 90% of the Caspian Sea legal regime convention has been finalized which is signed in Aktau, Iranian Foreign Ministry's Center for Public Diplomacy and Media Affairs said in a statement on Sunday. The statement also said that six other agreements – on transit, trade and economy, fight against terrorism, countering organized crimes, cooperation of border guards, and preventing military conflicts – also be signed on the sidelines of the summit meeting of the Caspian Sea littoral states in Aktau. The Caspian Sea littoral states also announced that the Sea will remain the sea of peace and friendship among the member-states, banning the presence of military forces of the third countries in the Sea, the statement said. Navigation in the Sea will only be possible under the flag of one of the five littoral states and they cannot let any alien country to use their territory for military aggression against another littoral state, according to the statement. Oil resources of the Sea which are not disputed can be exploited and when there is a dispute over joint resources, the related countries should reach an agreement and if an agreement is not reached, the resources will not be exploited, the agreement said. The first meeting of the Caspian states’ leaders was held in Ashgabat in 2002, and the other summits were convened in Tehran, Baku and Astrakhan. The Caspian Sea is the largest inland body of water in the world and accounts for 40 to 44 percent of the total lacustrine waters of the world. The coastlines of the Caspian are shared by Azerbaijan, Iran, Kazakhstan, Russia, and Turkmenistan.